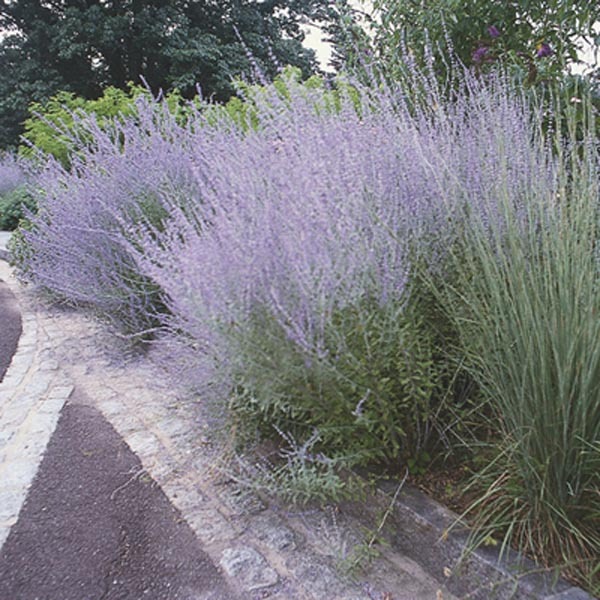 A bushy, subshrub of a perennial with a multitude of upright stems. Has a delicate yet definite presence with its fine, silvery leaves and dainty lavender colored blooms. A striking companion to plants of broader leaf or with gold hues. Not a true herbal sage. Makes a dependable mixed border plant. Ideal for specimen, foundations, and mass plantings. Combines beautifully with small ornamental grasses. Tolerates poor soil, heat, and drought. Plant in ordinary, well-drained soil. Allow soil to dry between thorough waterings. Protect from excessive winter moisture.